The health status of the Ukrainian political prisoner Oleg Sentsov, who stopped the hunger strike, is very grave, the cousin of the political prisoner Natalya Kaplan reported during a briefing today, October 16. “Getting out of a hunger strike is quite a serious procedure, now nobody can say whether Oleg will survive,” she noted. Kaplan stressed that the political prisoner's recent letters are very pessimistic, but she hopes that it will be possible to release him. 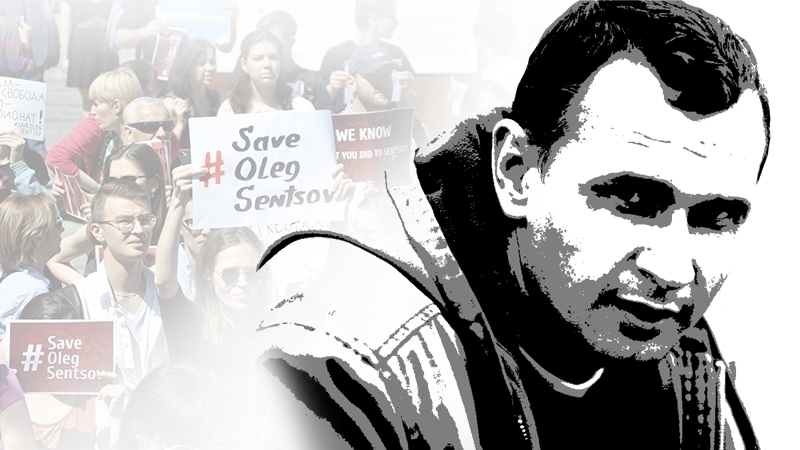 Earlier, the Human Rights Commissioner of the Verkhovna Rada of Ukraine, Lyudmila Denisova, reported that Oleg Sentsov had stopped the hunger strike. She noted that such a move means that the political prisoner was in a critical condition and demanded to speed up the process of her admission to Sentsov. The political prisoner himself explained why he had to end his hunger strike, which he held for more than 140 days. According to Sentsov, forced feeding was to be applied, since he allegedly was no longer able to adequately assess his level of health and the risk he was facing.